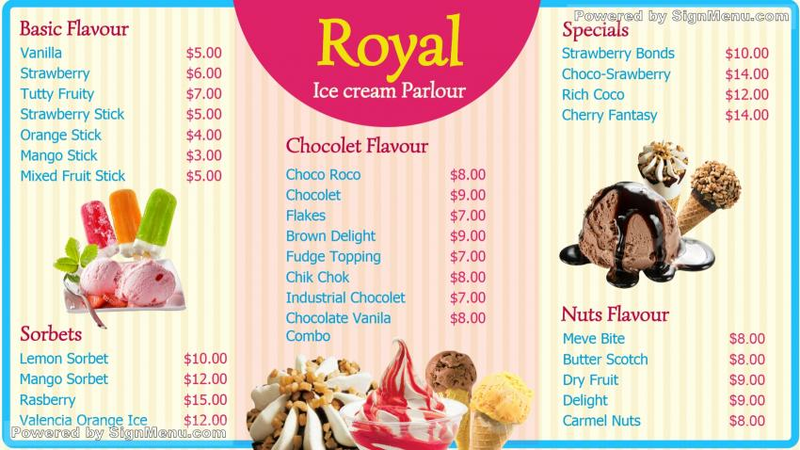 This template of an ice cream parlor is best showcased on a digital signage screen and placed at the entrance of the parlor as well as indoors. Ice cream parlors are popular worldwide among the young & old alike, and the parlors take delight in innovating their menu for their customers. In recent times digital software advancements have enabled Ice cream parlors to update their menu content given customer preferences which can be implemented anytime, and from anywhere. Just a computer remote could make this happen. This template is ready for download and use.